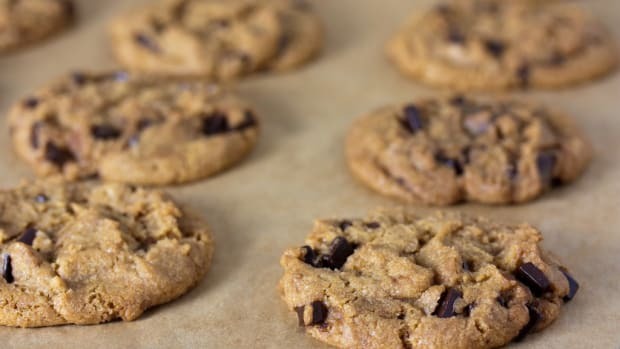 There is nothing better than pulling a warm tray of cookies out of the oven – with the exception, maybe, of pulling one giant warm cookie out of the oven. 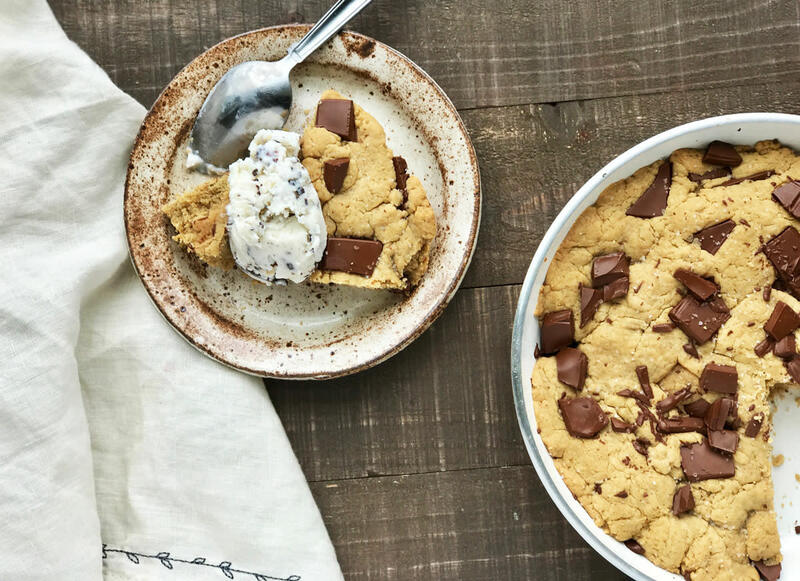 This skillet cookie is not only a delicious new way to get your cookie on, it’s also a gluten-free and Paleo-friendly treat that’s made with seriously wholesome ingredients. 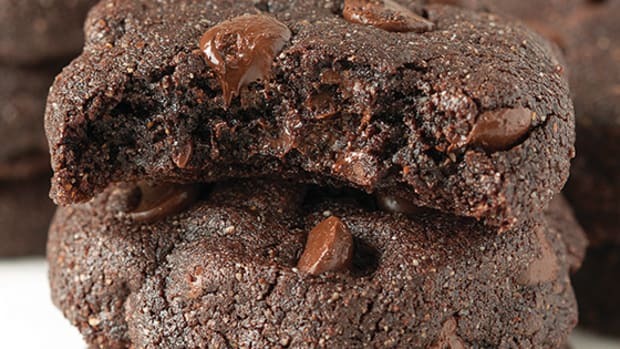 With just a handful of pantry staples (like dark chocolate, duh) and roughly thirty minutes, this big warm cookie is all yours. All of it! Traditional chocolate chip cookies are made with white flour, loads of white and brown sugar, and butter. 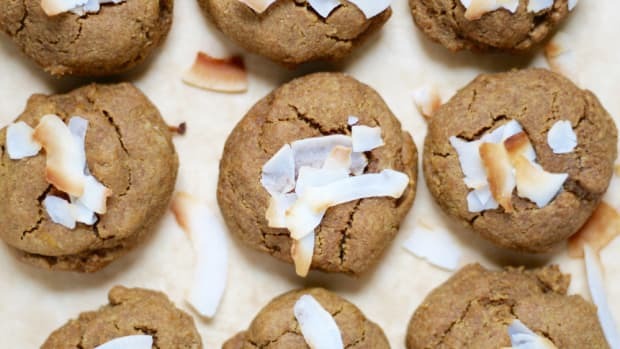 Although as soul soothing as those cookies may be (especially if made by your grandma), there’s a more nutritious way to make them. 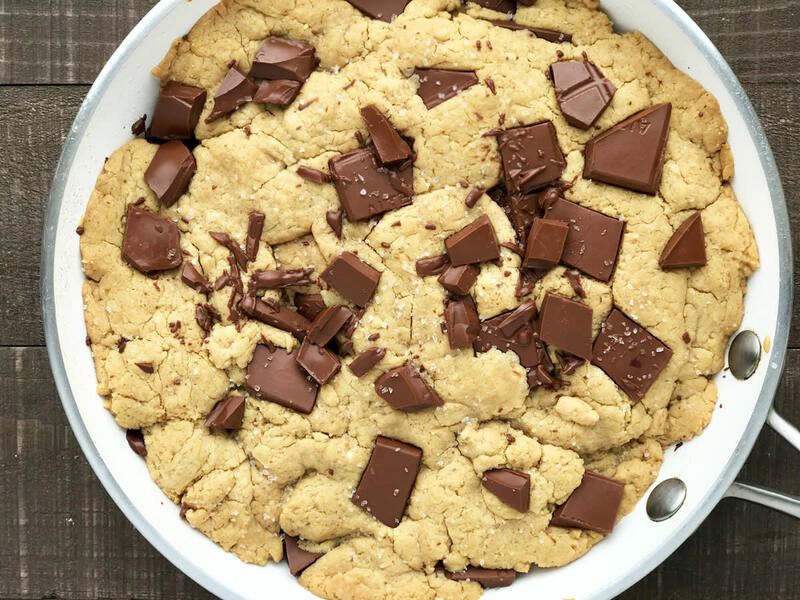 This skillet cookie is made with almond flour, maple syrup, nut butter, coconut oil, and dark chocolate – all very delicious (and healthy) ingredients. 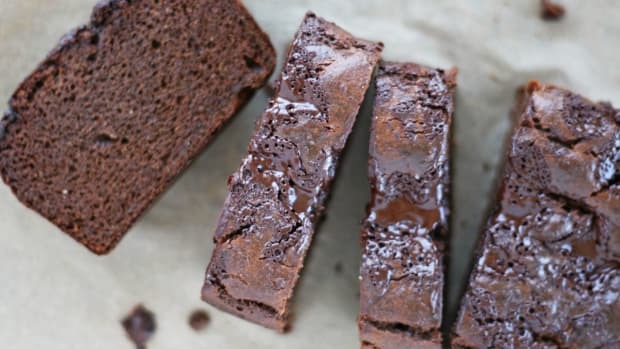 Almond flour is made by blanched and finely ground almonds and is a rich source of protein, healthy fats, and vitamin E. As opposed to almond meal, almond flour has a finer and less gritty consistency. Make sure to use the latter in this recipe. Maple syrup is a deliciously sweet alternative to white sugar. In small amounts, maple syrup does contain nutrients such as iron, calcium, and zinc. Look for a 100 percent pure organic maple syrup, without any added coloring or sugars. 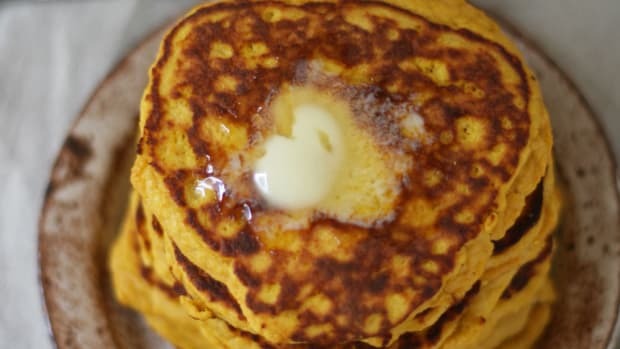 Maple syrup impostors such as those often labeled as "pancake syrup" are made with mostly high fructose corn sup and artificial flavorings and are not what you should be baking with -- or pouring on pancakes. 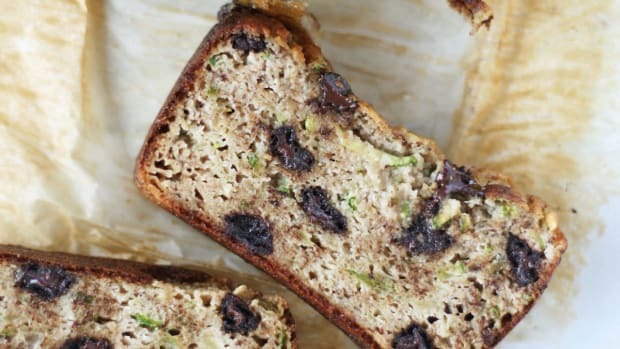 The nut butter in this recipe is a creamy and nutritious way to reap healthy fats and a soft cookie texture. Any sort of creamy nut butter will do in this skillet cookie recipe including almond, peanut, sunflower, and cashew butter. 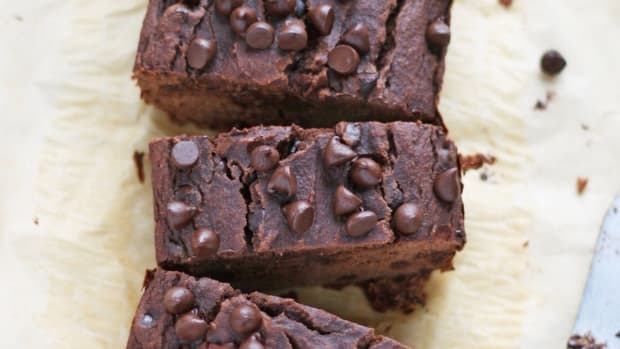 Using a bar of high quality dark chocolate, at least 70 percent cacao solids or higher, provides hearty chocolate chunks and a heavenly flavor to this skillet cookie. Unlike milk chocolate, dark chocolate contains more of the beneficial nutrients (including antioxidants to support whole body health). Look for an organic bar of dark chocolate made with fair-trade growing and harvesting processes. 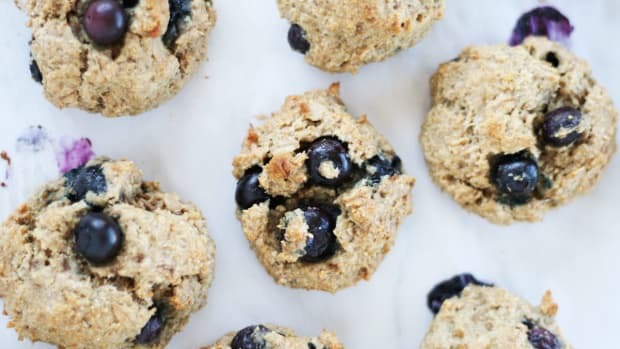 Although this recipe uses an organic egg, substituting with a flax egg is an easy way to make this skillet cookie recipe vegan. 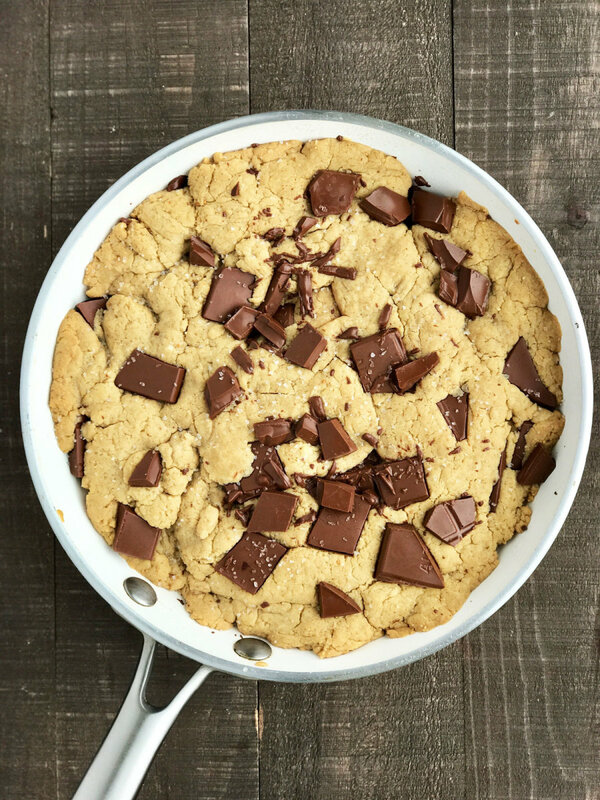 Like cookie batter, this cookie skillet batter and recipe comes together in a cinch. Simply preheat the oven, grease skillet, and make the batter. When using a skillet make sure to use a cast iron skillet, stainless steel skillet, or nontoxic nonstick skillet. Many cooking skillets can be made with questionable ingredients, so it’s best to use the least toxic one as possible. For this reason, I’m partial to cast iron, which conducts heat easily and doesn’t off-gas chemicals. Plus, it can last you for years and years if properly cared for. If you lack an 8-inch skillet, you can also use a glass-baking dish or cake pan. Preheat oven to 325 degrees Fahrenheit and lightly grease an 8-inch skillet with a bit of coconut oil. Place coconut oil and nut butter into a small saucepan and heat on low. Stir mixture often, until coconut oil and nut butter and melted and incorporated together. In a small bowl whisk together egg, maple syrup, melted coconut oil and nut butter, and vanilla extract. Stir in almond flour and baking soda and mix until combined. Fold in half of the chocolate, roughly chopped until incorporated. Spread cookie batter into greased skillet and dot with remainder of chopped dark chocolate. Sprinkle with sea salt. Bake cookie in the oven for 17-20 minutes, or until edges are slightly browned. Remove from oven and let cool slightly before digging in!